England crashed out of the World Cup as Tillakaratne Dilshan and Upul Tharanga hit centuries to guide Sri Lanka to an emphatic 10-wicket quarter-final win. Jonathan Trott's stubborn 86 provided the spine as England battled to a seemingly competitive total of 229-6. But Tharanga and Dilshan made quick progress in the run-chase to take the game away from a tired England. 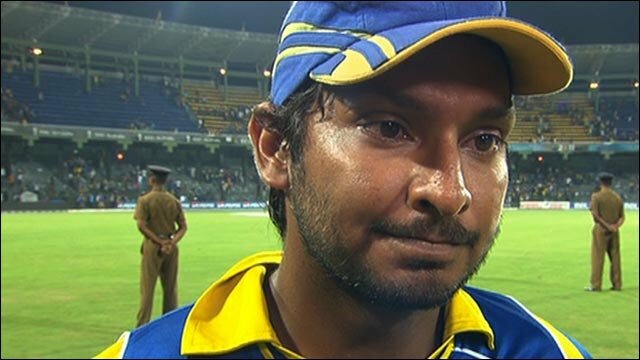 Dilshan ended with 108 and Tharanga 102 as Sri Lanka consigned England to only their fifth 10-wicket one-day loss. This was an even more decisive quarter-final defeat than the one they inflicted on England 15 years ago, when another opener - Sanath Jayasuriya - clubbed 82 from 44 balls to set up a five-wicket win in Faisalabad. However, in contrast to the 1996 tournament and the subsequent three global events, England can take something positive away from this World Cup. "We've always been hopeful of showing up on the night, there's never been a clear plan. There's been confusion and a feeling of not knowing what our best XI is. We won the Ashes 3-1, brilliant. Now they have to admit they got the situation for the World Cup completely wrong. I remember in 2003 we complained about the schedule, in 2007 it happened again. In 2011 it happened again. It wasnt professional, The Ashes was." While they failed to consistently reach the standards expected of them - no more so than in Colombo - they were always worth watching. 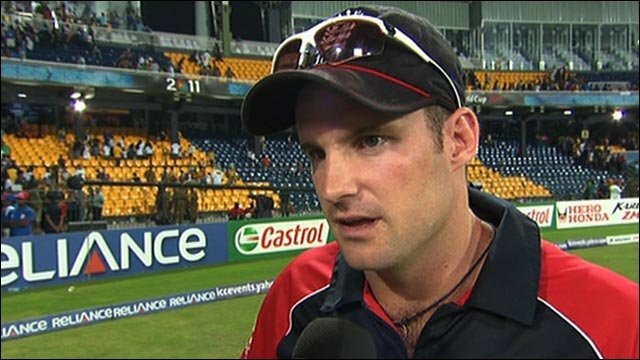 For better or worse, Andrew Strauss' side have been the tournament's entertainers - participating in the kind of tense, narrow encounters the competition desperately needs to maintain public interest. But unlike England's previous games this was disappointingly lacking in tension as openers Tharanga and Dilshan set about pursuing a target that appeared competitive at the break, but was soon shown to be inadequate. No opening pairing has performed better at this World Cup than the two Sri Lankans, who added 282 against Zimbabwe in the group stage and were in similarly aggressive mood. They had a few slices of luck on a surface that certainly offered some purchase to the spinners, but as the innings wore on rarely looked like being parted as they carried their side through to a semi-final showdown with New Zealand at the same ground on Tuesday. Defeat brought an end to England's long winter, which peaked with victory over Australia in the Ashes in January but had been in steady decline since and a physically and mentally tired squad were unable to raise their game as the Sri Lankan batsmen drove relentlessly towards the finishing line. Tharanga and Dilshan had 50 on the scoreboard before nine overs had been bowled and 100 up by the end of the 18th, whereas it took England until the end of the 27th over of their innings to reach three figures, by which time they had also lost three wickets, such was the gulf in class between the two sides. Earlier, Trott had been the stand-out batsman for England with a defiant 86, while Eoin Morgan had chipped in with a typically busy 50, but both of these paled in comparison to the innings played by Sri Lanka's dynamic opening pair. England made an uneasy start to their innings, with Strauss clearly uncomfortable against the off-spin of Dilshan, and it was no surprise when he was bowled for five, playing attempting an ugly swipe to leg. Ian Bell made a more promising start in his first match as an opener since 2008 but was back in the dressing roon after his captain following a mis-timed on-drive that was caught by Thilan Samaraweera off Angelo Mathews. Trott and Ravi Bopara steadied the ship by adding 64 in 18 overs, but their partnership was ended by Muttiah Muralitharan, who trapped Bopara trapped lbw as he attempted to sweep a full delivery. Trott though continued in typically stubborn fashion to elevate himself to the top of the tournament's high scorers list by passing the 400-run barrier, before being caught in the deep off Muralitharan in the penultimate over. Prior to this, the South African-born batsman shared a stand of 91 with Morgan, who benefitted three times from dropped catches and also Sri Lanka's decision to eschew referring an lbw appeal that replays showed to be clear-cut. However, the curse of the powerplay did for Morgan as Mathews made amends to catch him off the bowling of Mendis, who with his very next ball brought an immediate end to the experimental elevation of Swann to number six in the order. A 22-run cameo from Matt Prior helped England to 229-6, but the total proved woefully short of what was required.